Kale is a superfood! I love it in salads, stir fries, green juices and protein smoothies. This recipe makes kale irresistible to even the toughest veggie critic. The chips are crisp, light, and full of flavor. Even better, you won't have to worry if you accidentally devour the whole plate! Using your hands, toss kale so every piece is fully coated with olive oil. 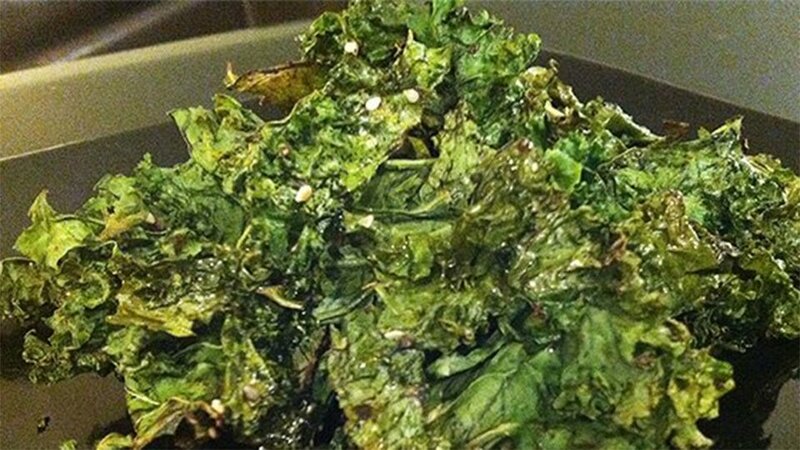 Lay kale in a single layer on a baking sheet. Bake for 15-20 minutes until lightly crispy.